Payment is based on the current market price, grade, and quantity. Quantities smaller than our minimum weight accepted for payment can be disposed of in our drop box free of charge. The drop box is located just outside our gate and is available 24/7. Washington State law requires a current state issue ID or driver license with current address for all purchases of non-ferrous items. 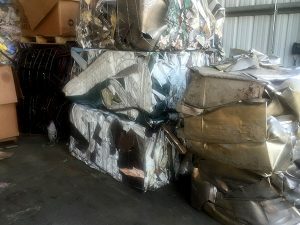 Washington State law requires anyone selling non-ferrous metal items more than 12 times a year to have a scrap recycling license, which can be obtained through Washington State Department of licensing – application forms can be printed from their website. We do not accept garbage, wood, glass, televisions, computer monitors, dirt, tires, contaminated or flammable materials. We can pick up and haul your scrap away. Nothing too large for us to handle. Call for details.